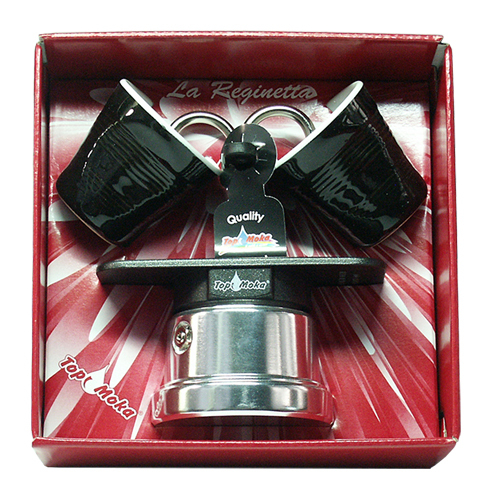 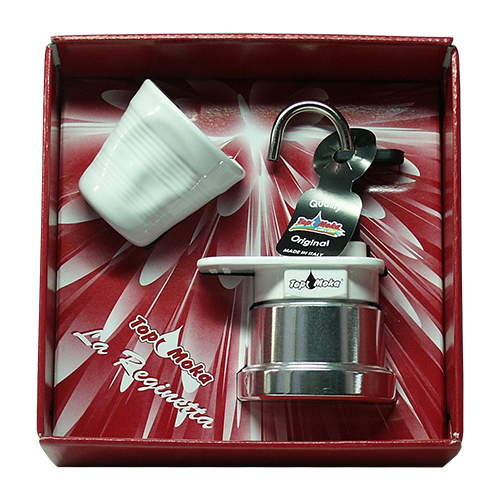 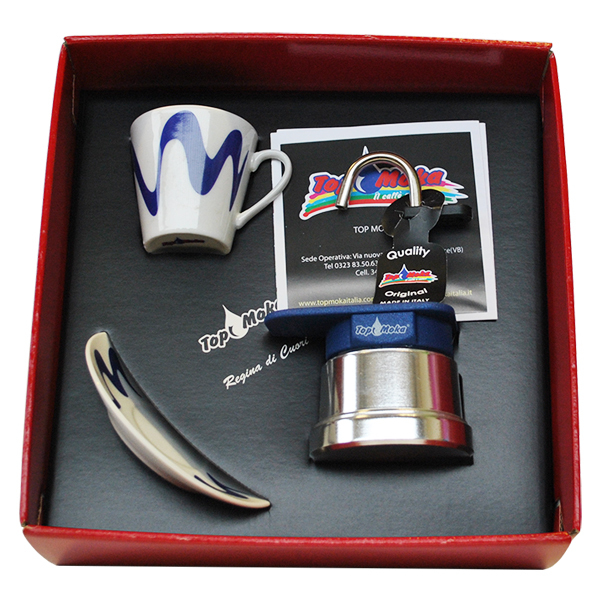 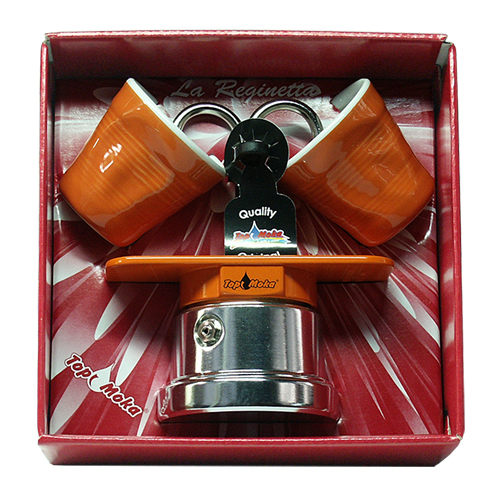 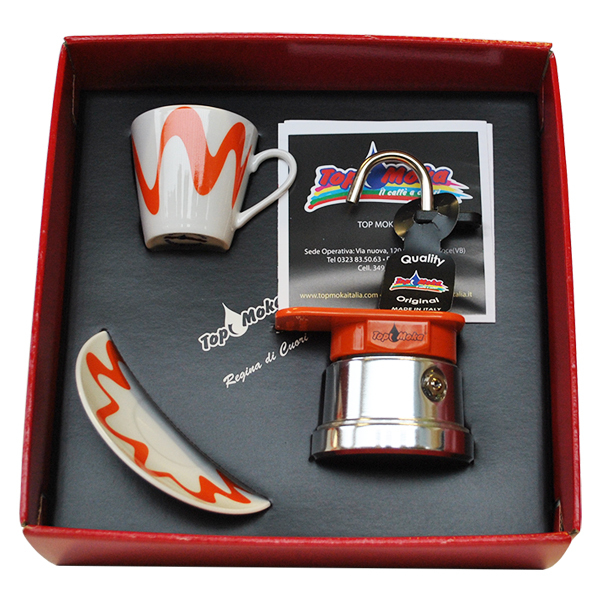 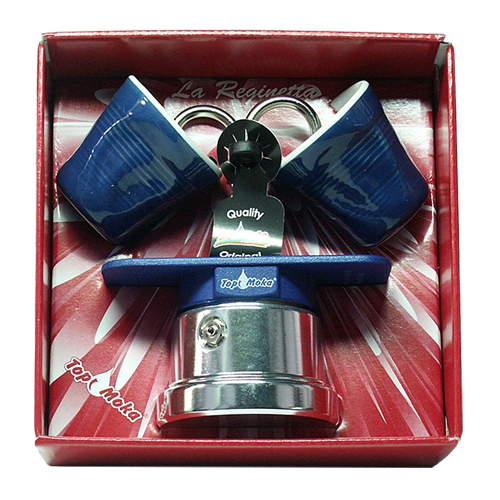 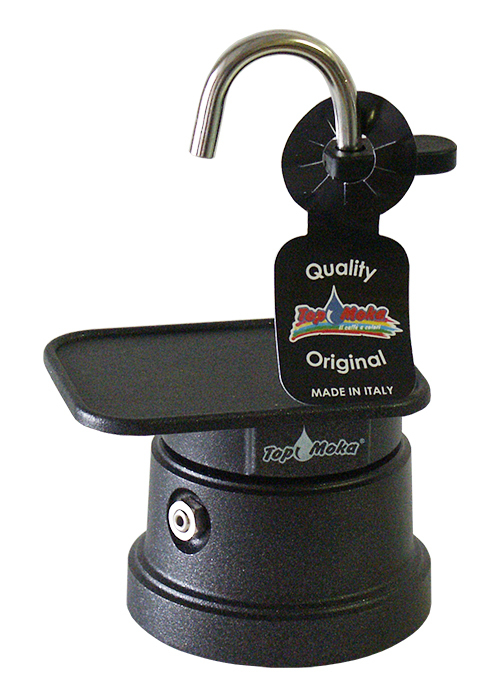 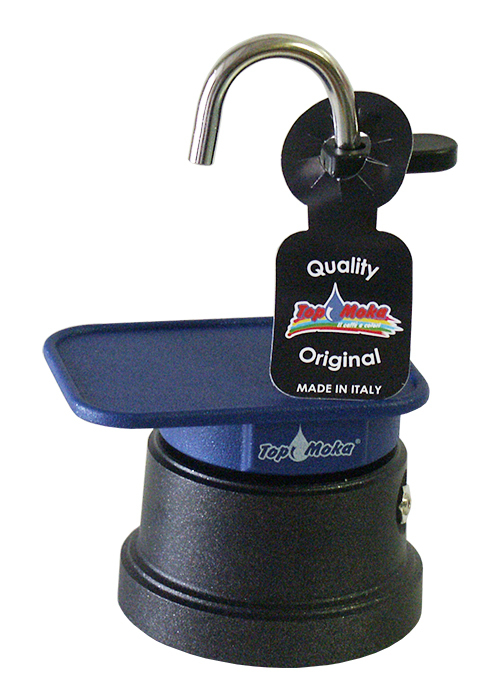 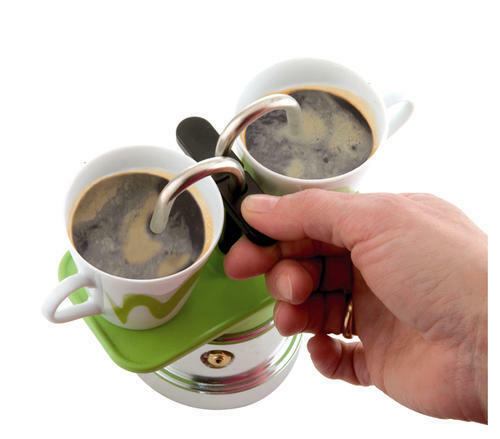 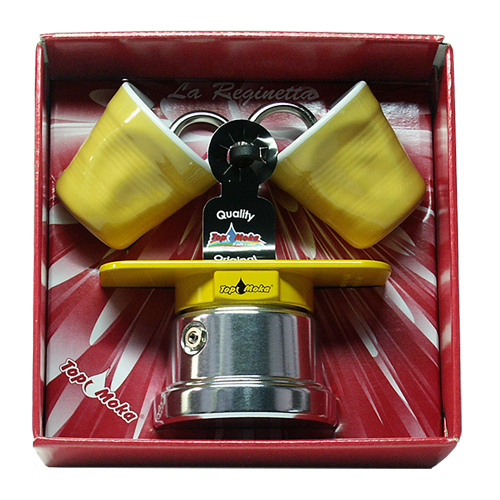 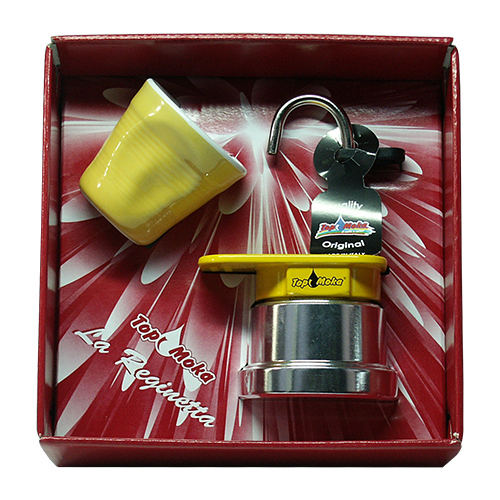 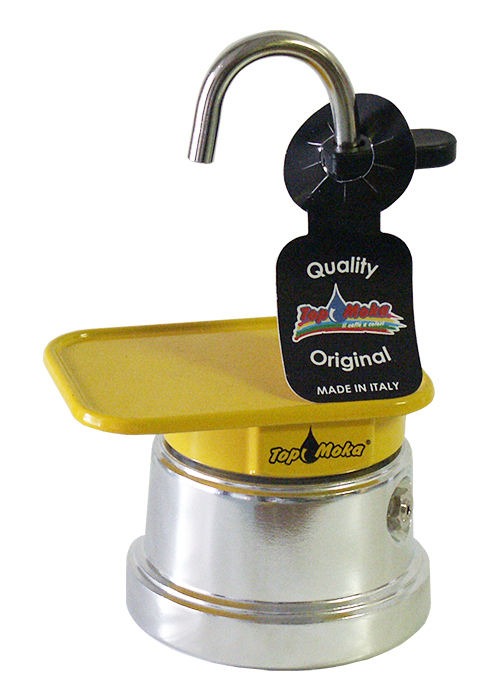 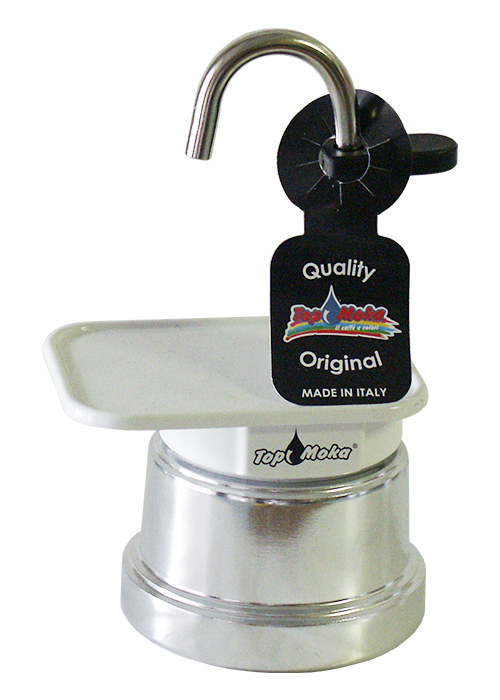 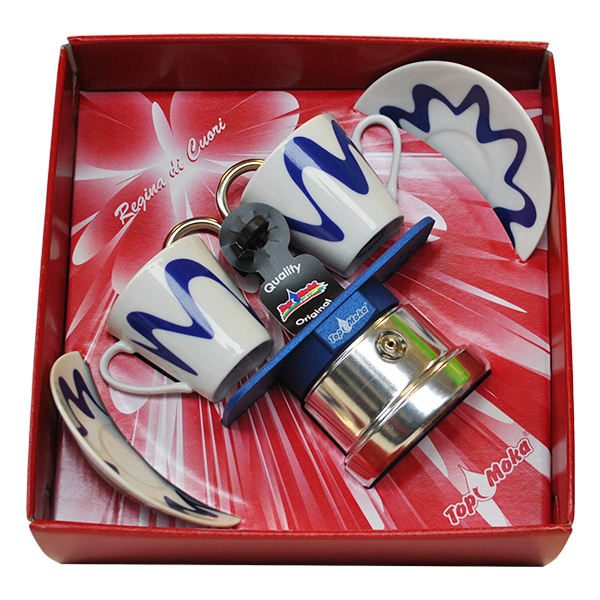 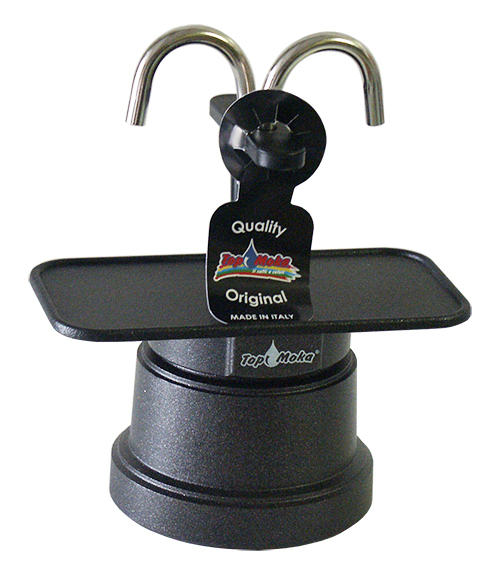 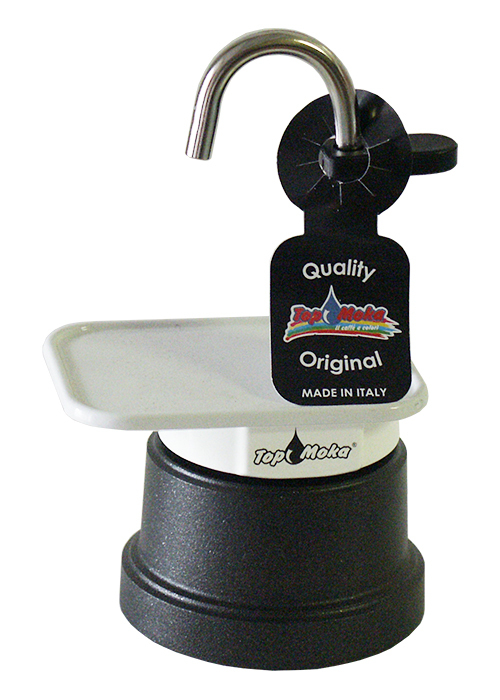 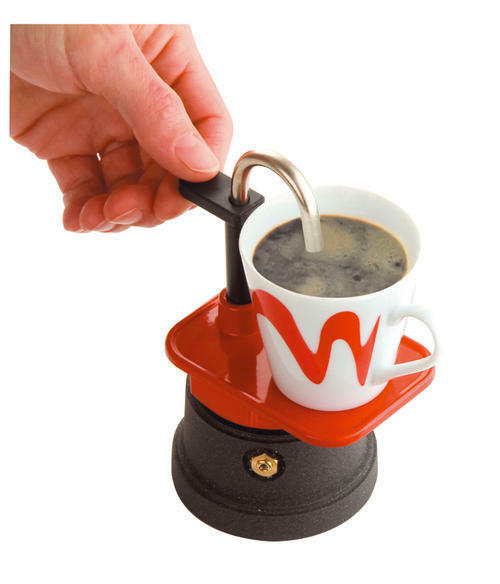 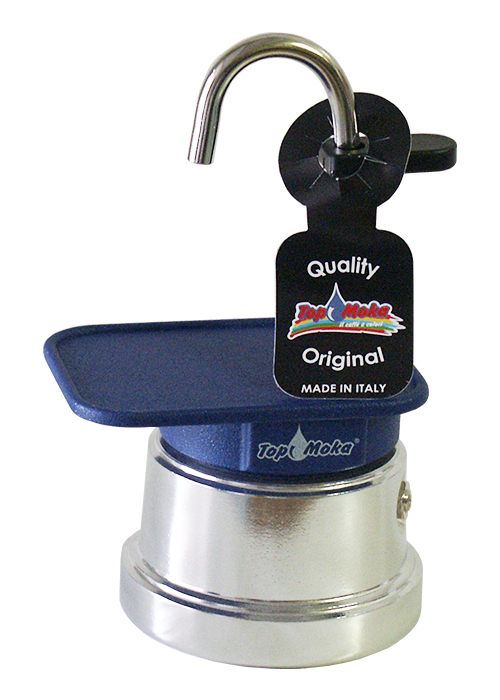 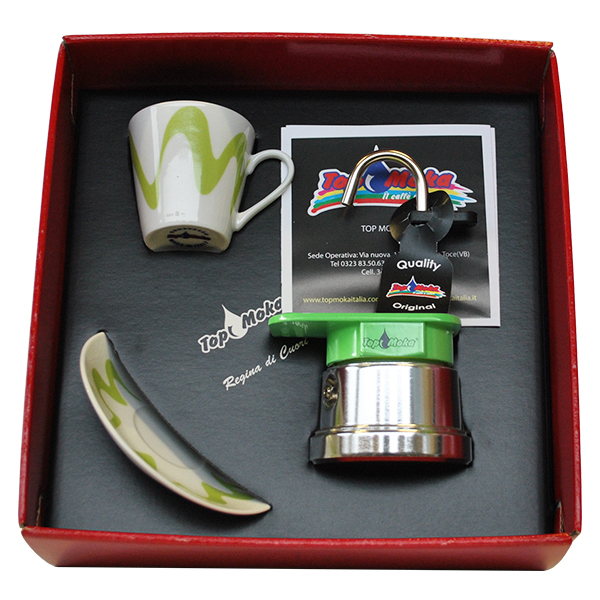 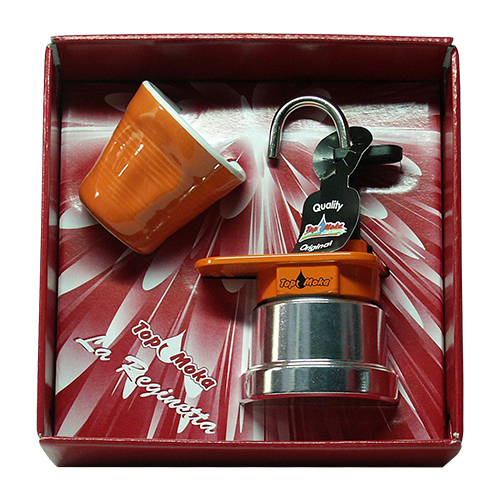 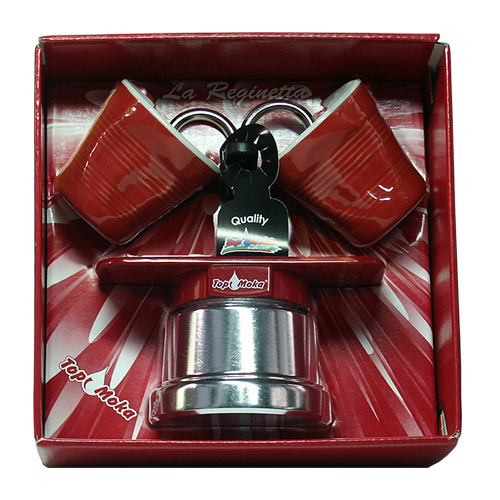 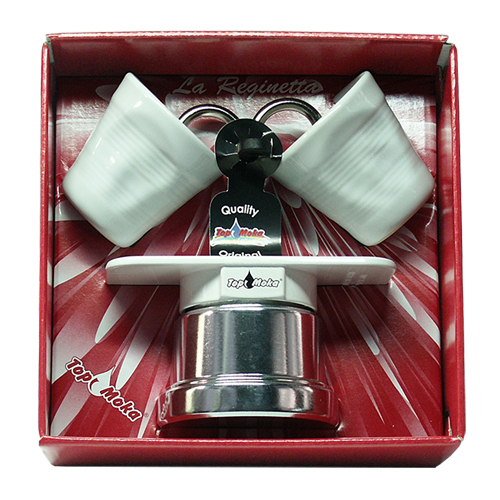 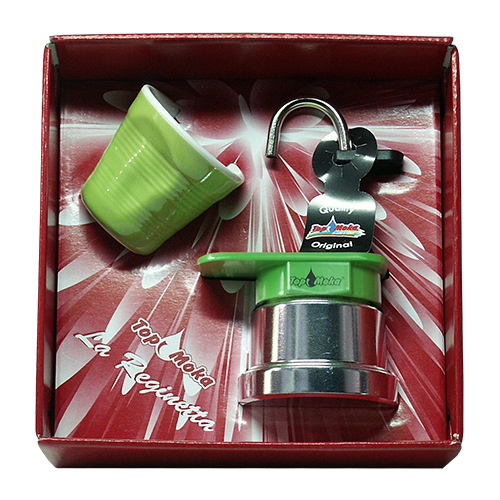 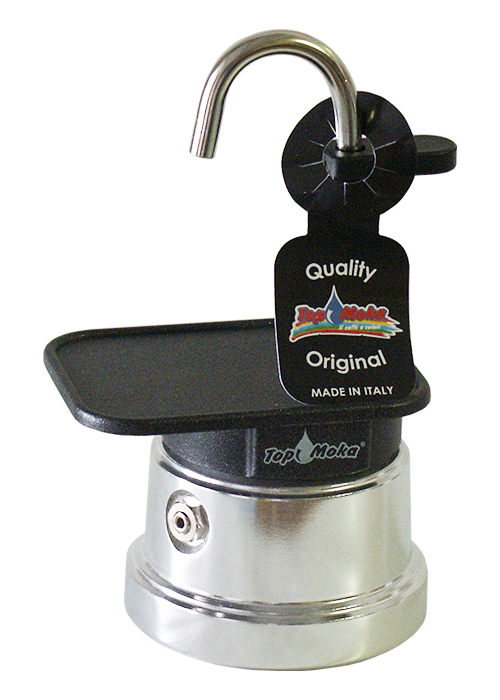 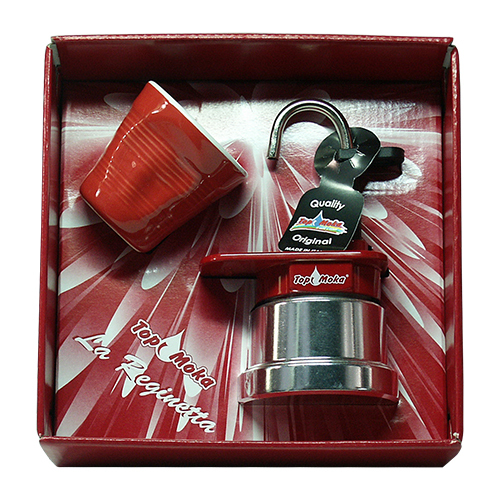 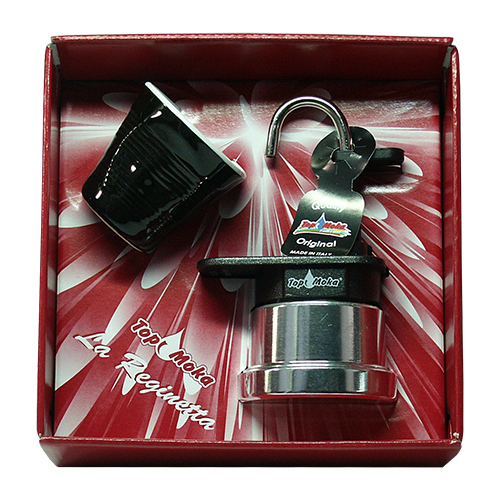 Mini coffee maker, an original design in perfect harmony with a high quality "Made in Italy"! 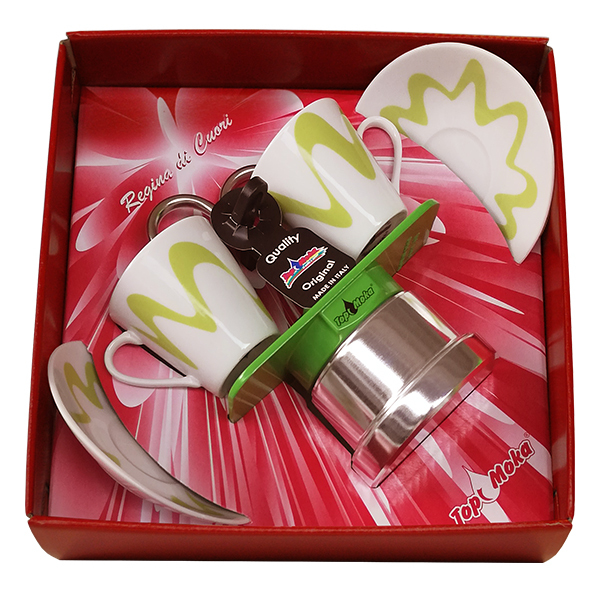 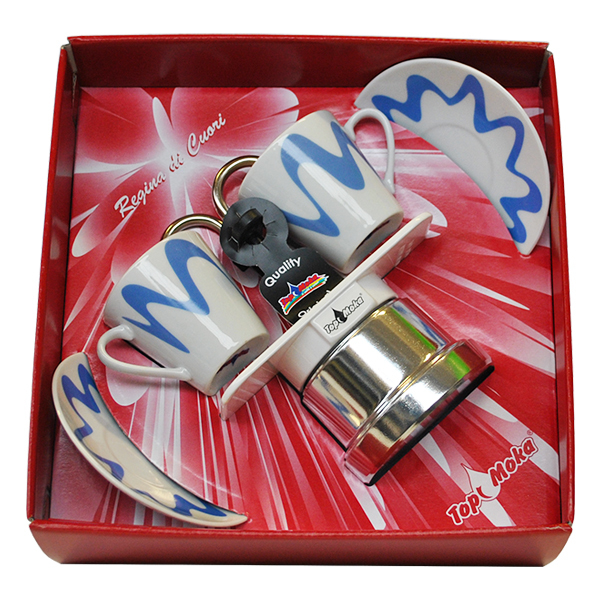 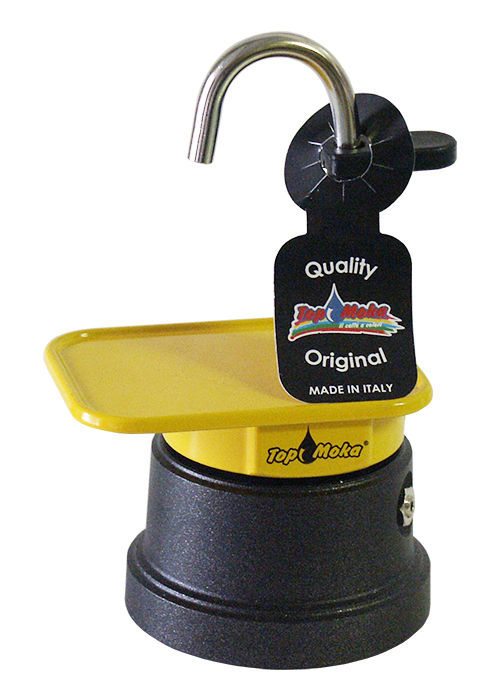 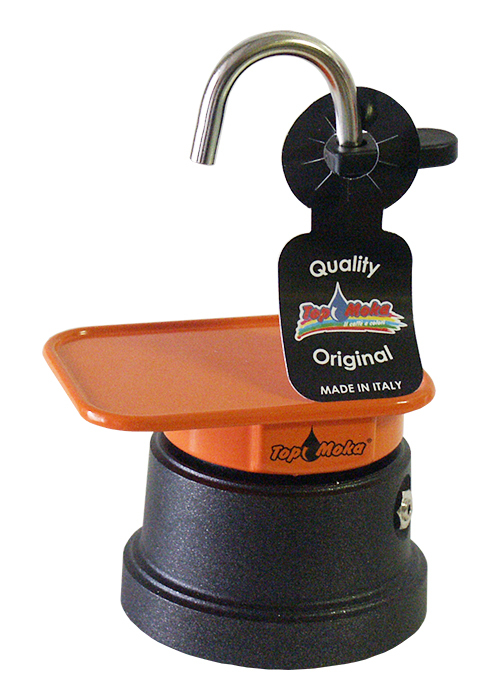 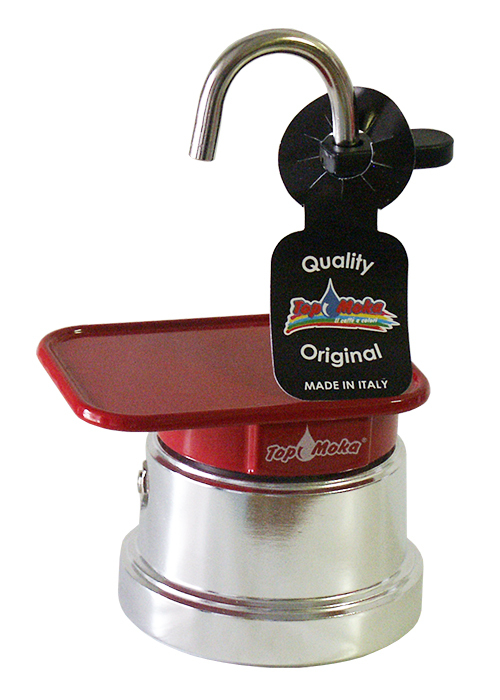 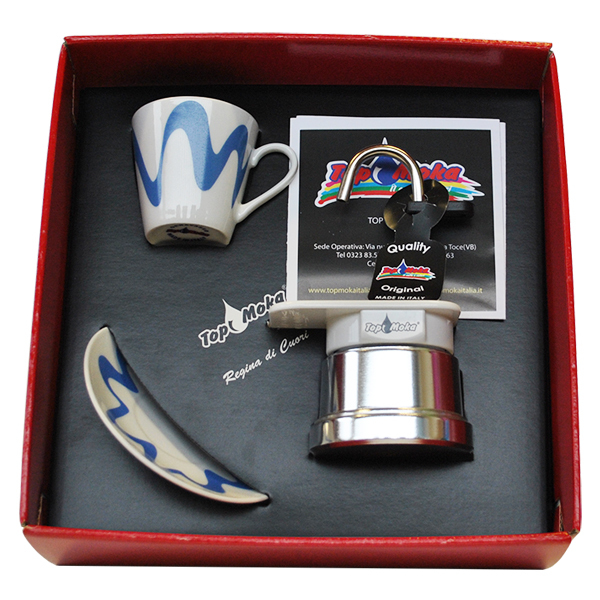 The Mini Coffee Makers 1 and 2 cups, are one of the many gems of Top Moka's wide range of models and colours. 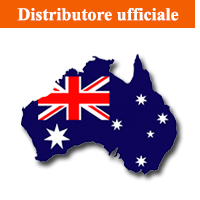 Their original design, make them unique in their own way and the eleven available colours, along with the possibility of "Teflon" or "Silver" collectors, offer endless combinations to own, present and promote a product made entirely by professionals of the most skillful Italian craftsmanship. 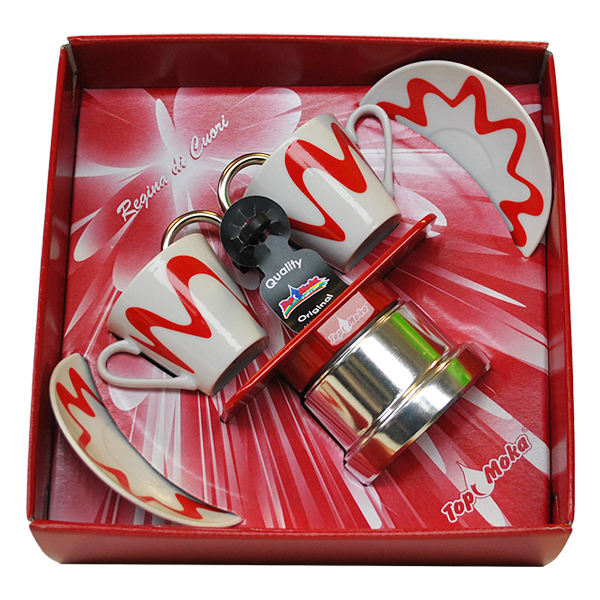 Entirely made of Alimentary Aluminium, the coffee is channeled directly from the boiler to the cups, through appositedly provided arched tubes. 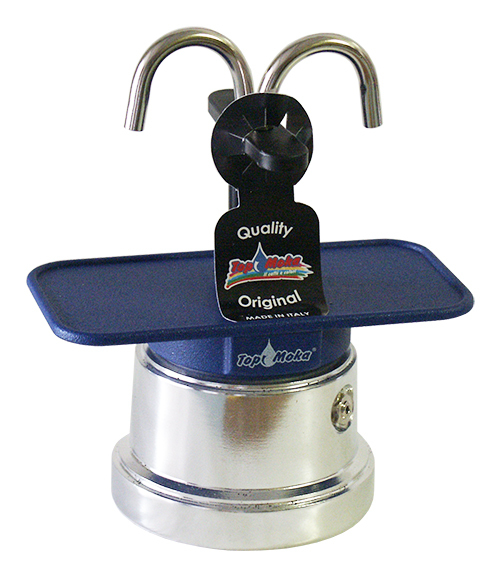 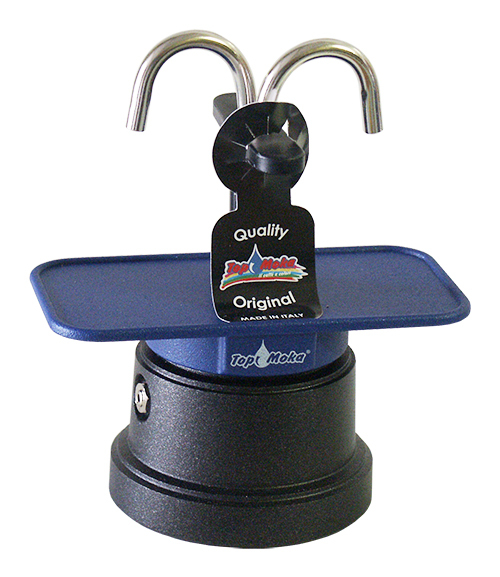 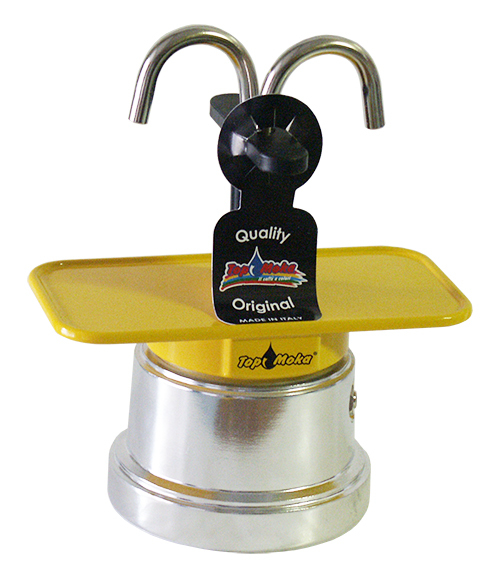 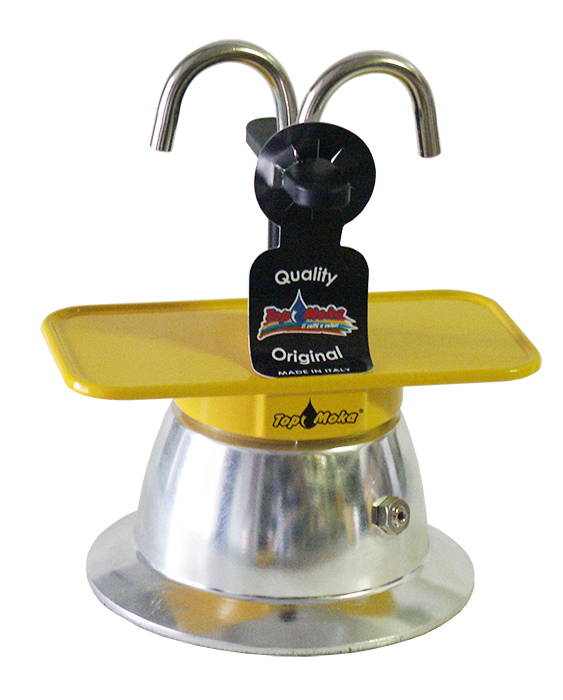 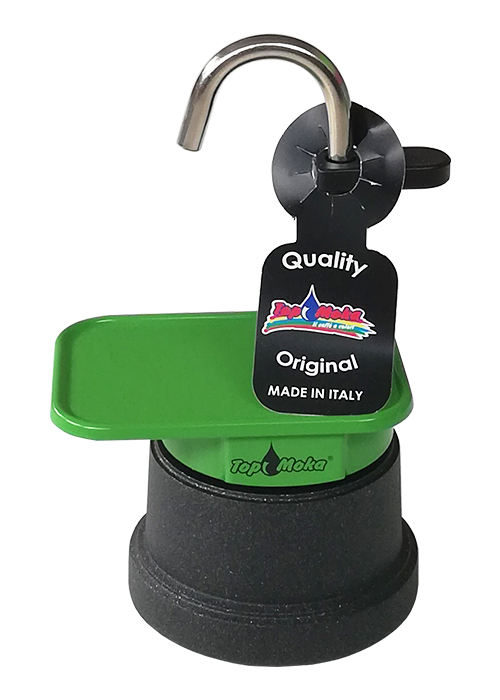 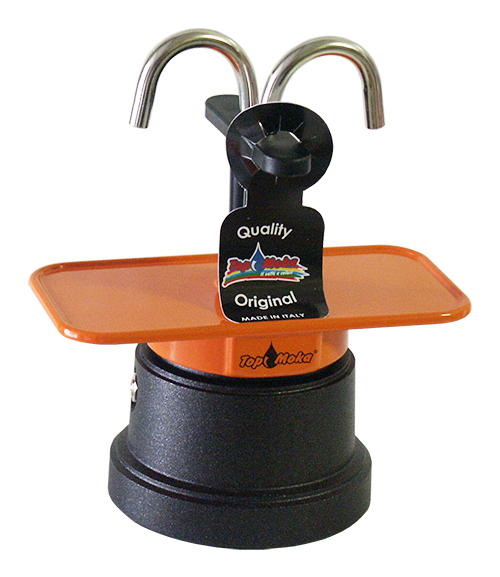 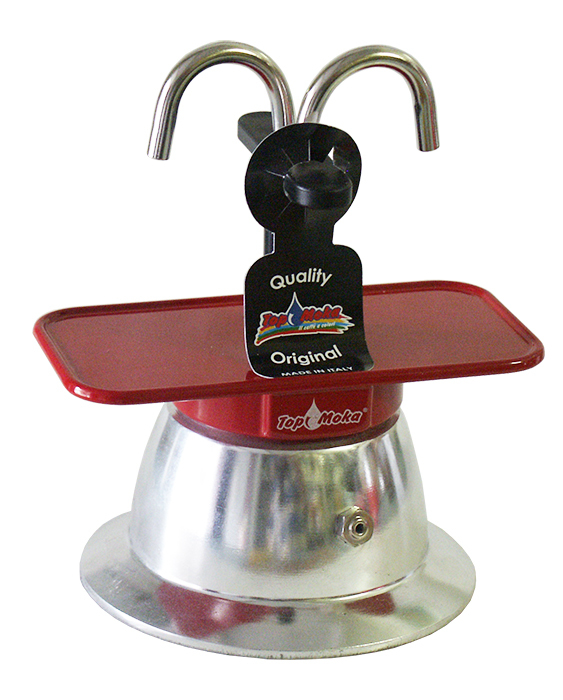 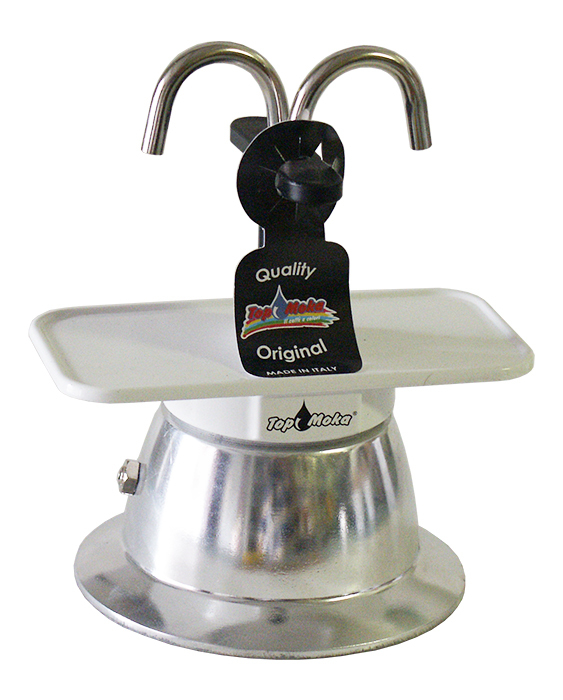 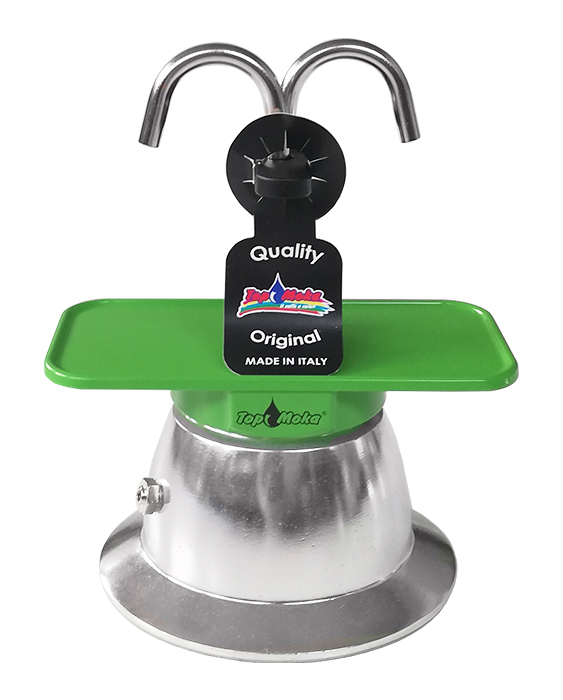 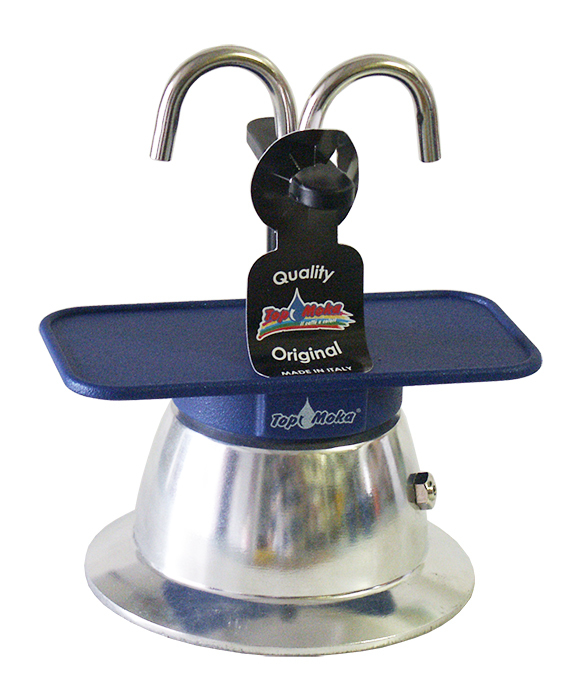 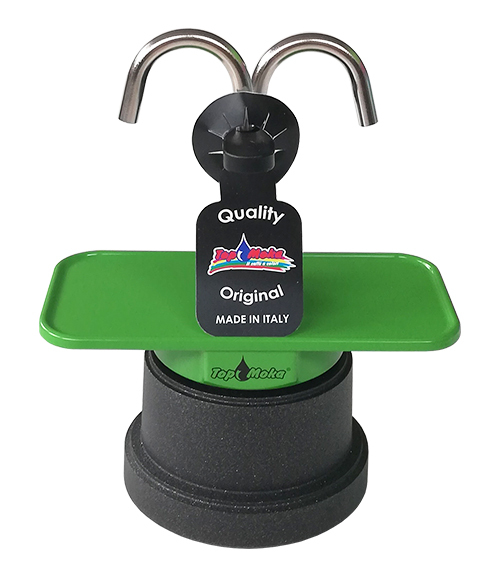 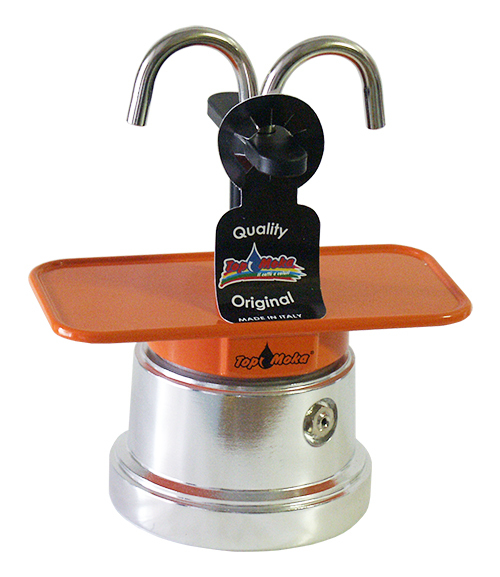 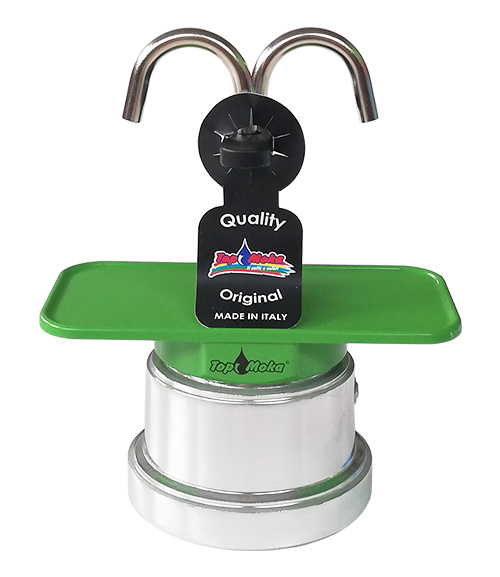 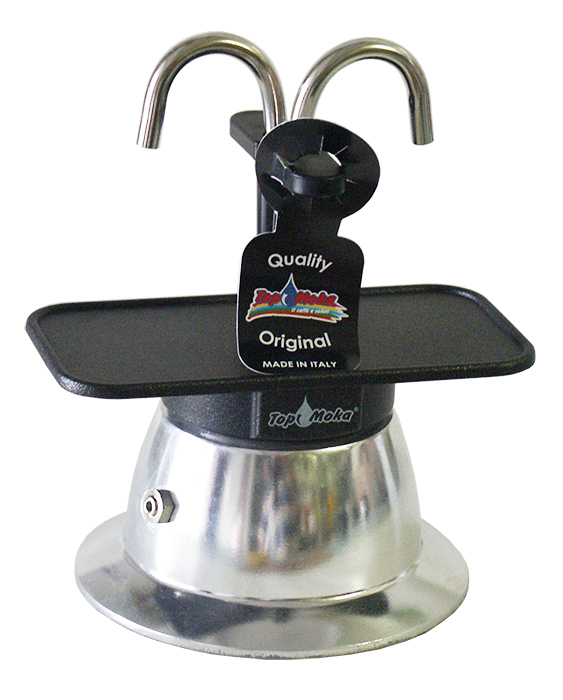 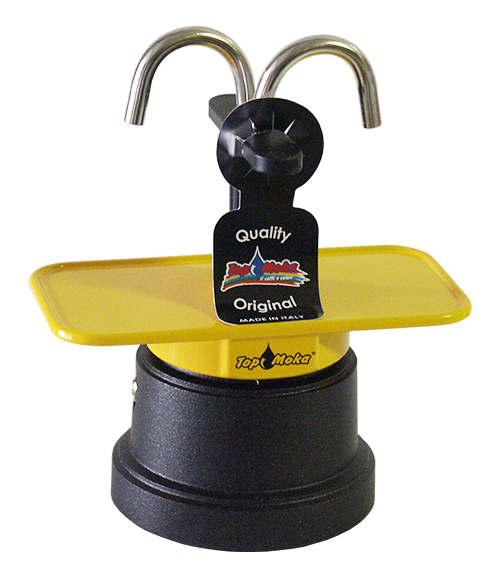 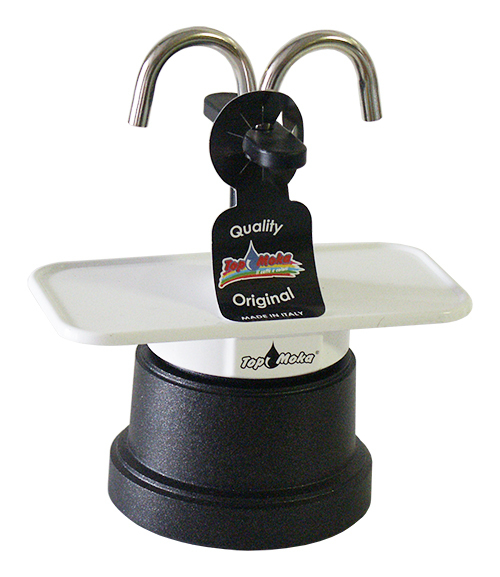 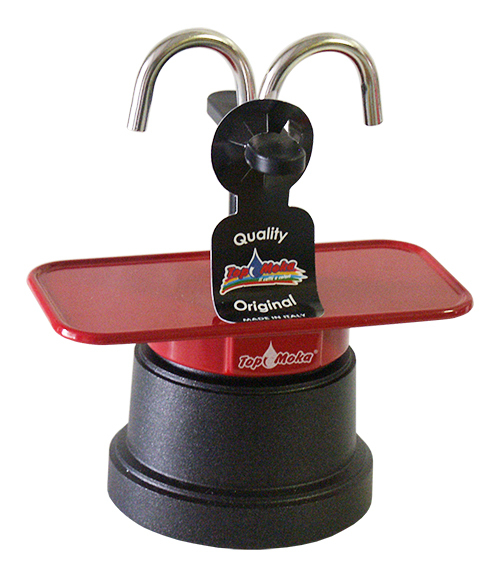 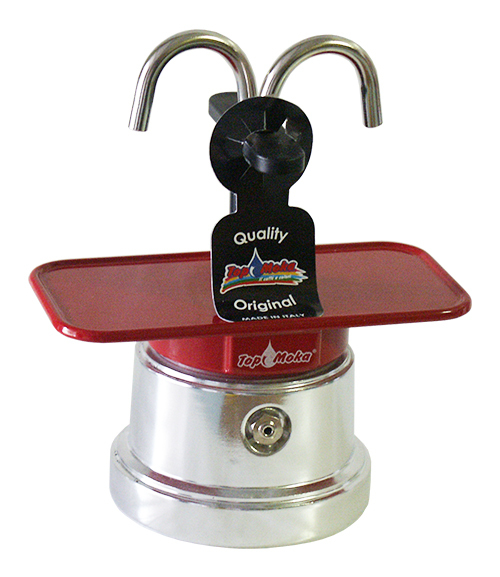 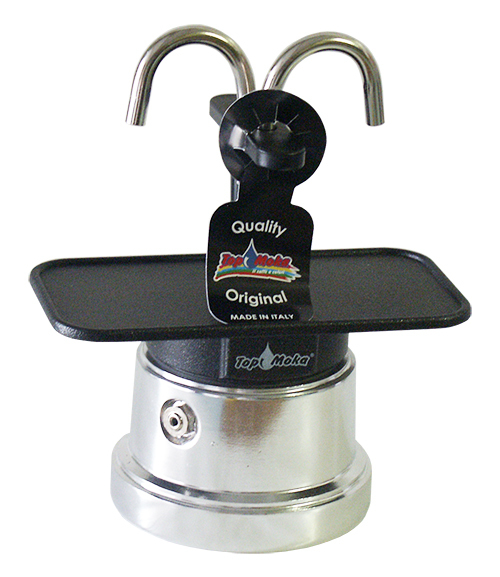 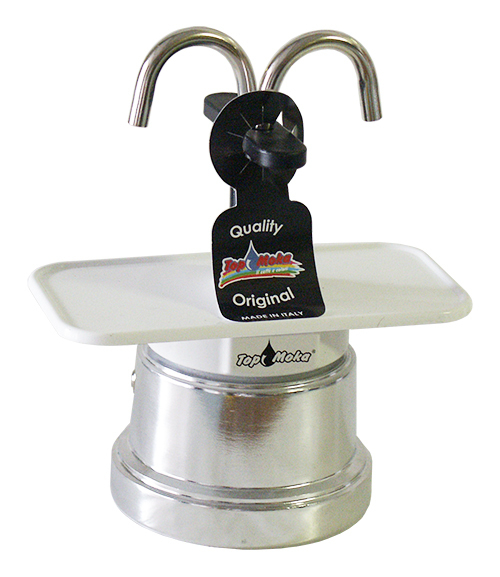 The precious liquid comes merrily out in a few seconds and can be served by bringing the pot to the table by means of a small protruding handle, or by sliding out the cups. 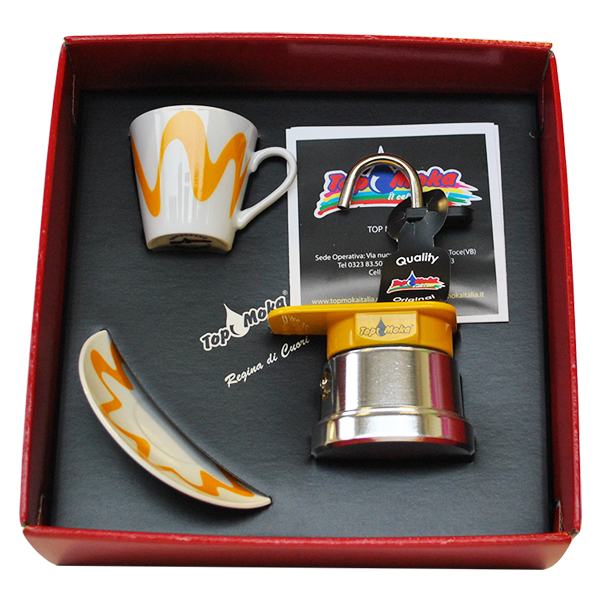 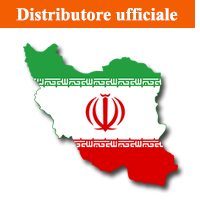 Suitable for any type of heat source: gas, electric, glass- ceramic, induction (only model 2 tz),they brew a true Espresso Italian coffee. 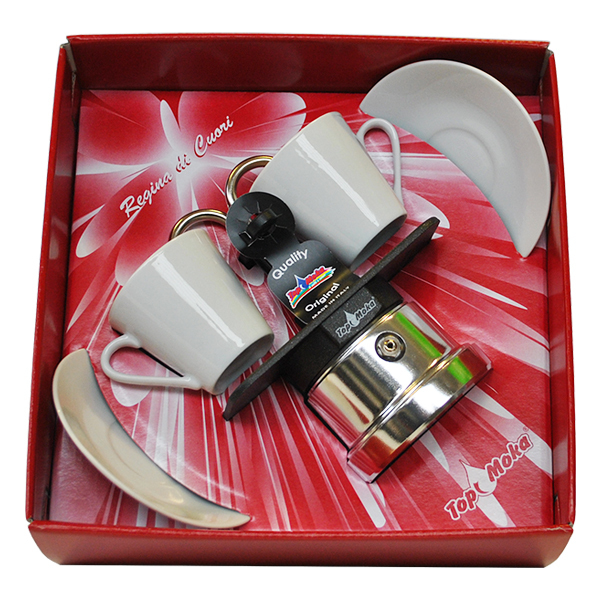 Inside an attractive and stylish box, the Mini is a little jewel that enriches the kitchen of every home.